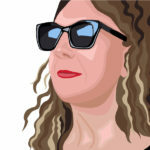 It’s not always easy to picture podcast characters as one listens to her latest addiction, but when it comes to Christopher Goffard’s Dirty John, I had a vague image in the back of my mind … tall, lanky, a tinge of grey — good looking in an everyman way. There wasn’t anyone specific I imagined playing John Meehan in Bravo’s upcoming limited series … and then I caught the spot-on trailer. 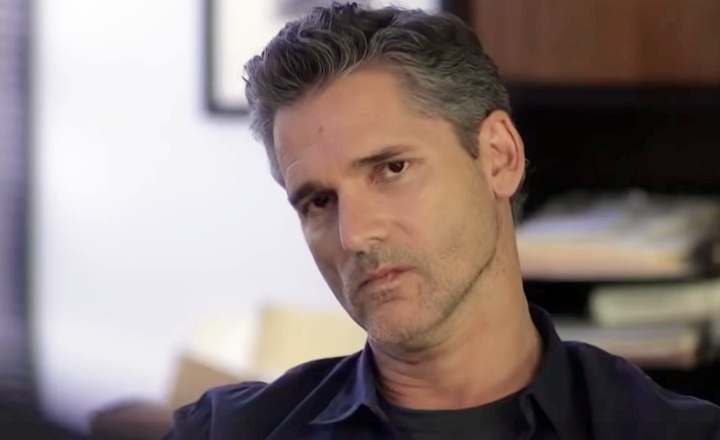 Yup, that’s Eric Bana (Hanna, Munich, Troy) simply nailing John’s alternately dark and roguish charm we all heard about over the course of six or so episodes. 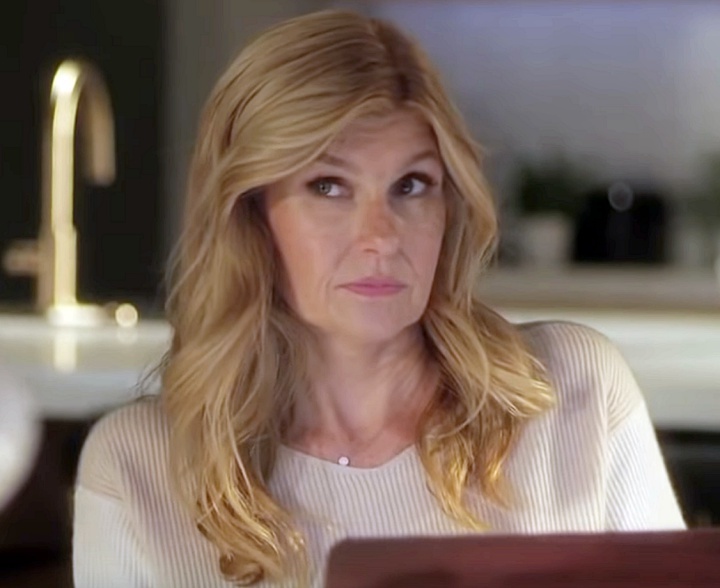 In the best possible way (meant as a compliment), I’m still struggling with the fantastic Connie Britton (Friday Night Lights, American Horror Story, 911, Nashville), as Debra Newell, only because I have difficulty seeing her as victim to this sort of scenario. One of my greatest struggles during the podcast was listening to Debra wave away her family and friends’ — as well as her own — concerns about John and somehow, Britton is cemented in my mind as far too tuned in to be taken in by anyone … even someone as magnetic as Eric Bana. That said, the preview is pretty perfect, playing out portions of the podcast that listeners will instantly recognize. Adding to the irresistibility is the always brilliant and excellently cast (give this woman her own series, please), Julia Garner (Ozark, The Americans, Maniac) as Debra’s kickass youngest daughter, Terra, who dislikes and doesn’t trust John from their first meeting; Juno Temple (Electric Dreams, Vinyl) also stars as Jacquelyn Newell. Written by Alexandra Cunningham (Bates Motel, Prime Suspect, Rome), Dirty John has been ordered for an inexplicable two seasons (9 episodes) and will air on Bravo, beginning November 25, 2018. Tags: BravoBravo TVChristopher GoffardConnie BrittonConnie Britton x Eric BanaDebra NewellDirty JohnDirty John BravoDirty John podcastDirty John seriesEric BanaJacquelyn NewellJohn MeehanJulia GarnerTerra NewellWhen does Dirty John series start?Who plays Dirty John? Next story The Flash, ‘Nora’: Congratulations Iris and Barry, It’s a Speedster! Previous story Hallelujah, Amazon: The Expanse Is BACK, Y’ALL!